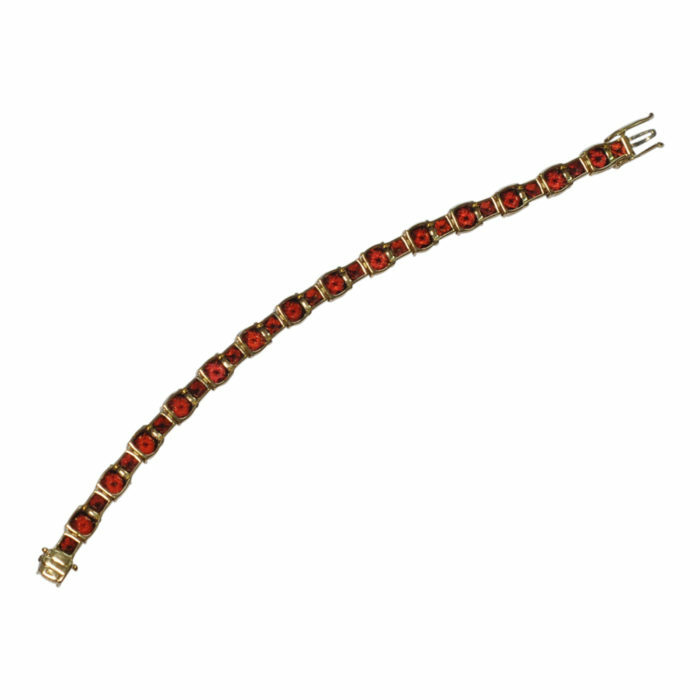 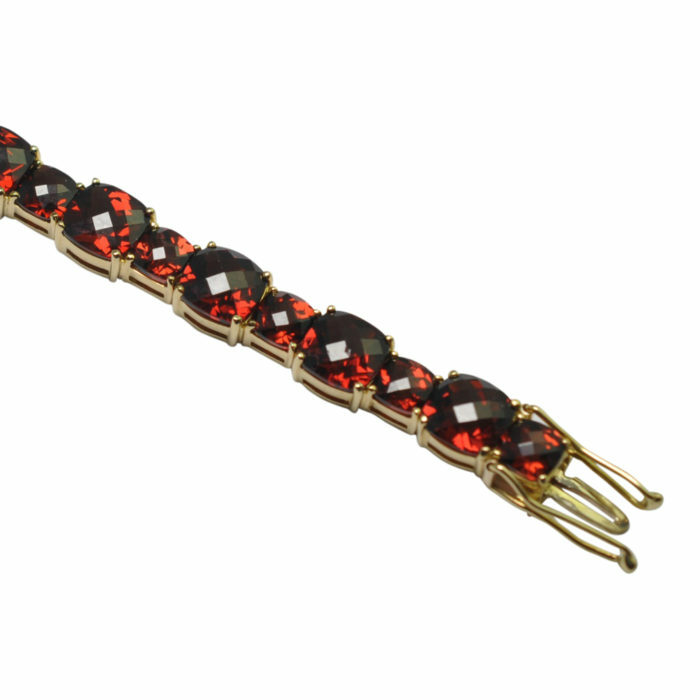 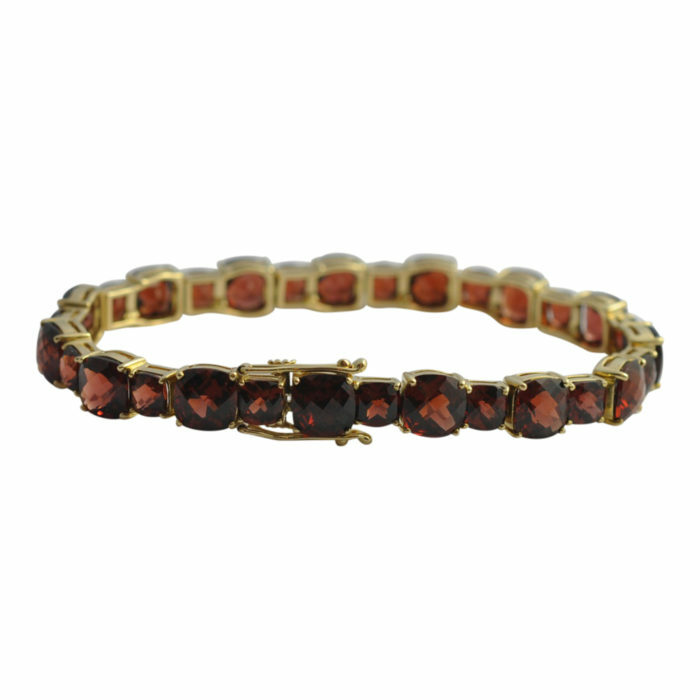 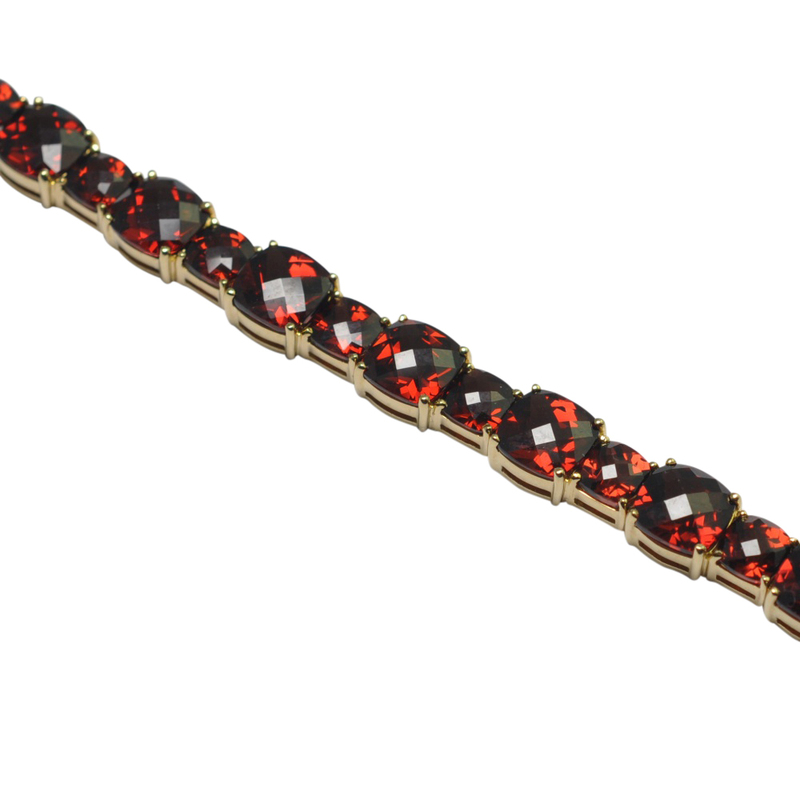 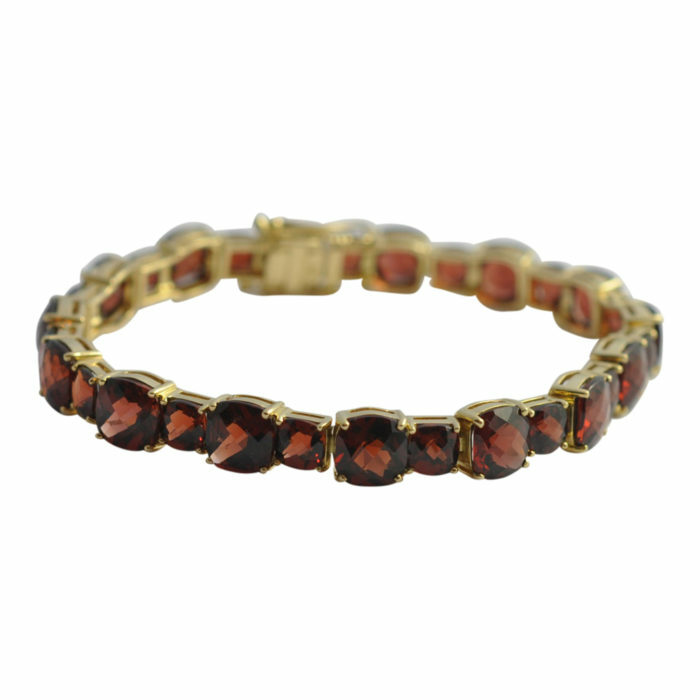 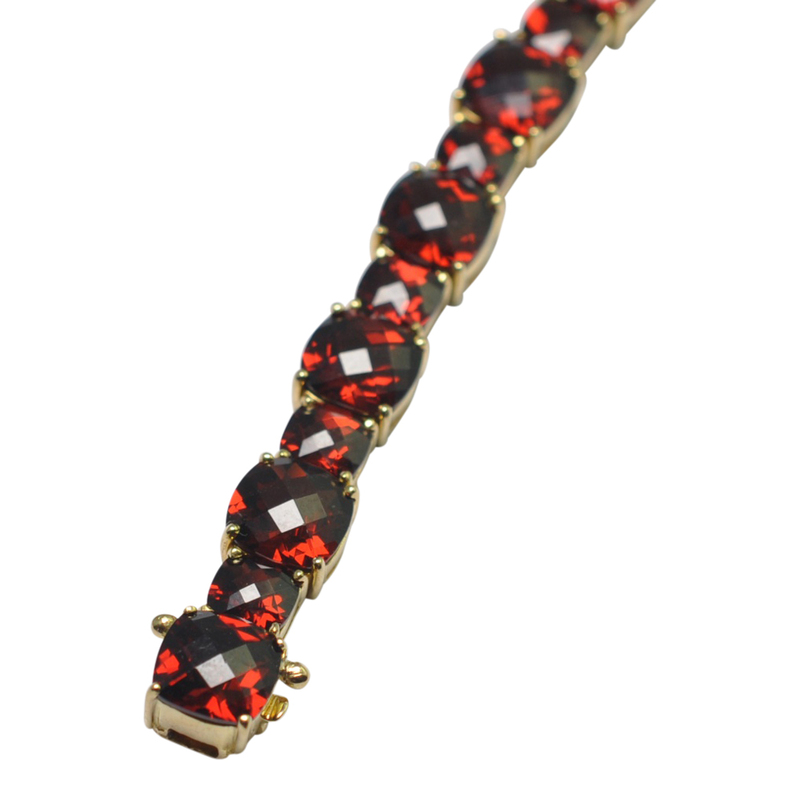 Contemporary garnet and 18ct gold bracelet; these beautiful garnets are a very rich orange/red colour with lots of sparkle and fire in them due to their multi facetted “pineapple” cut (not to be confused with the cheaper Bohemian garnets used in Victorian jewellery). 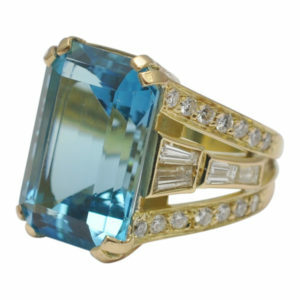 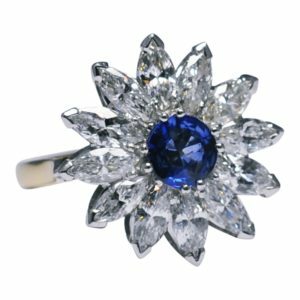 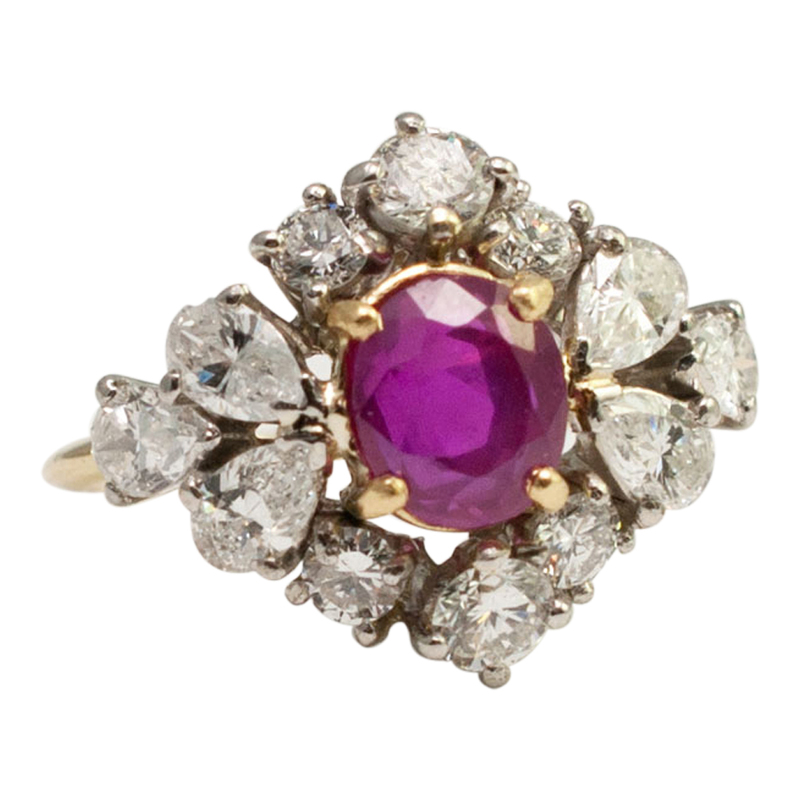 They are alternately oval and round and weigh a total of 38cts. 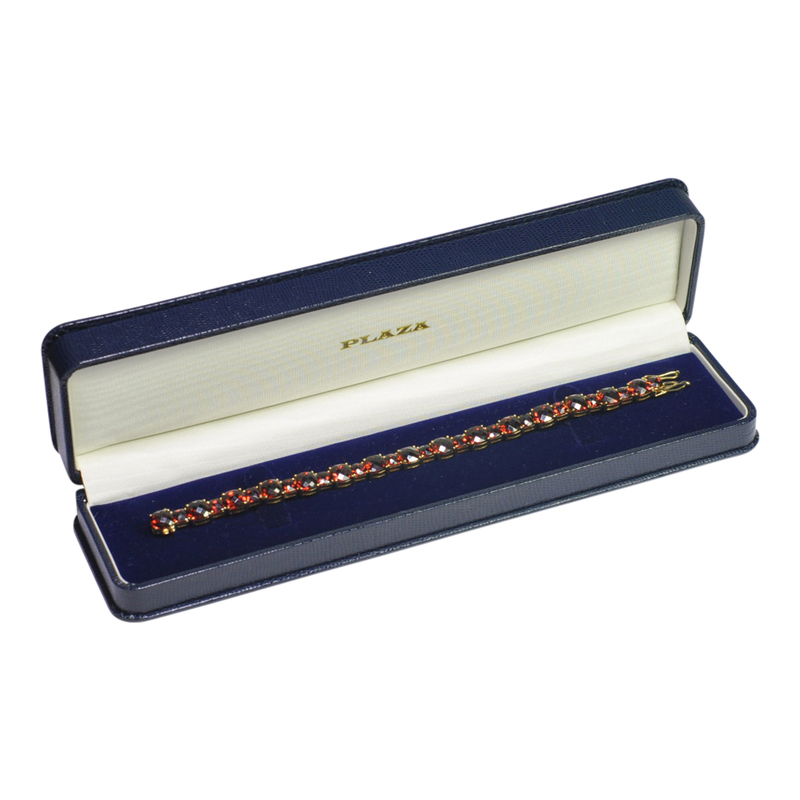 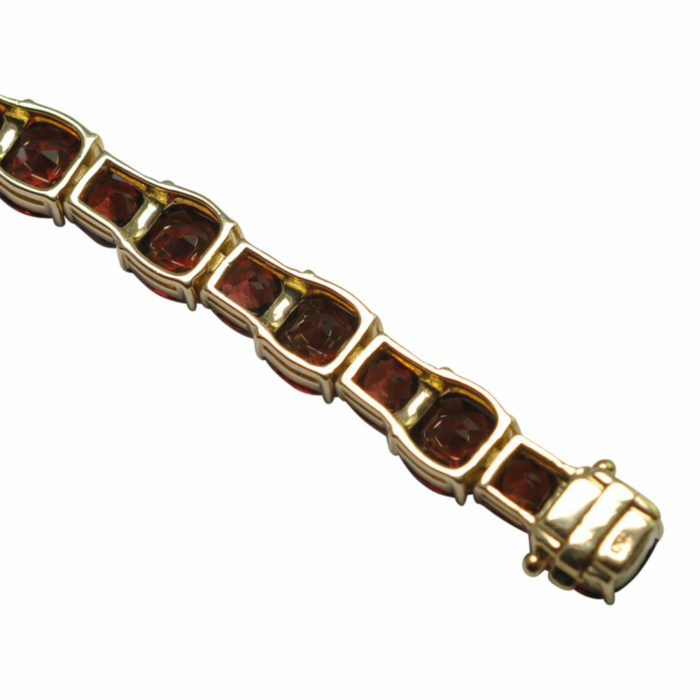 Each garnet is set in an individually hinged mount, allowing for suppleness and fluidity of the bracelet and making it very comfortable wear. It closes with a push in clasp, two security locks and a further lock which folds underneath. 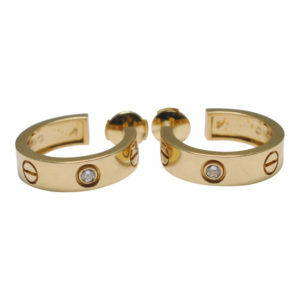 Weight 23.13gms. 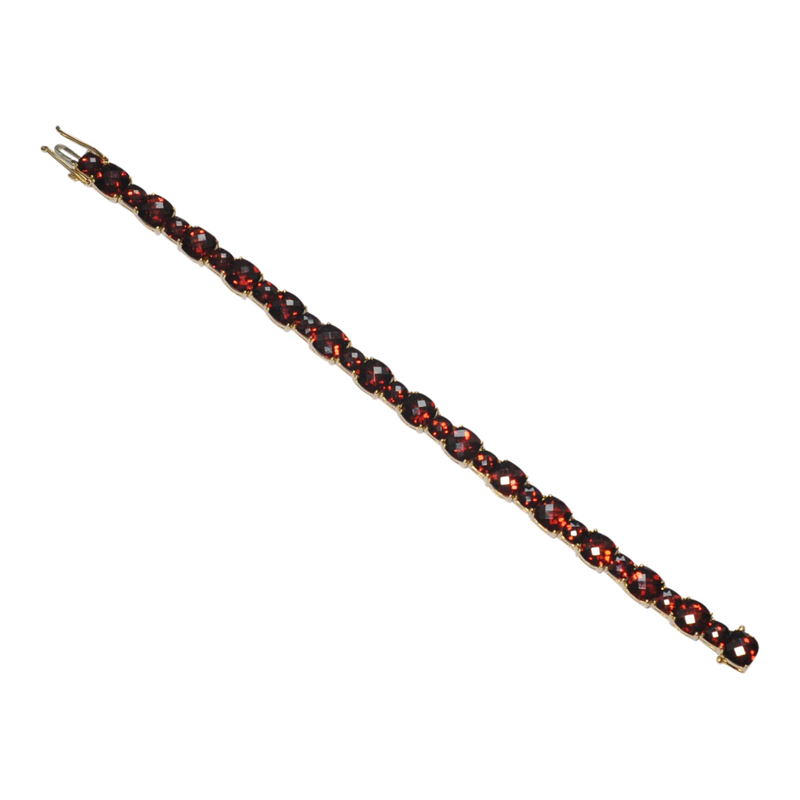 Measurements 18cms long (7 1/4″) x 0.70cm wide (1/4″). 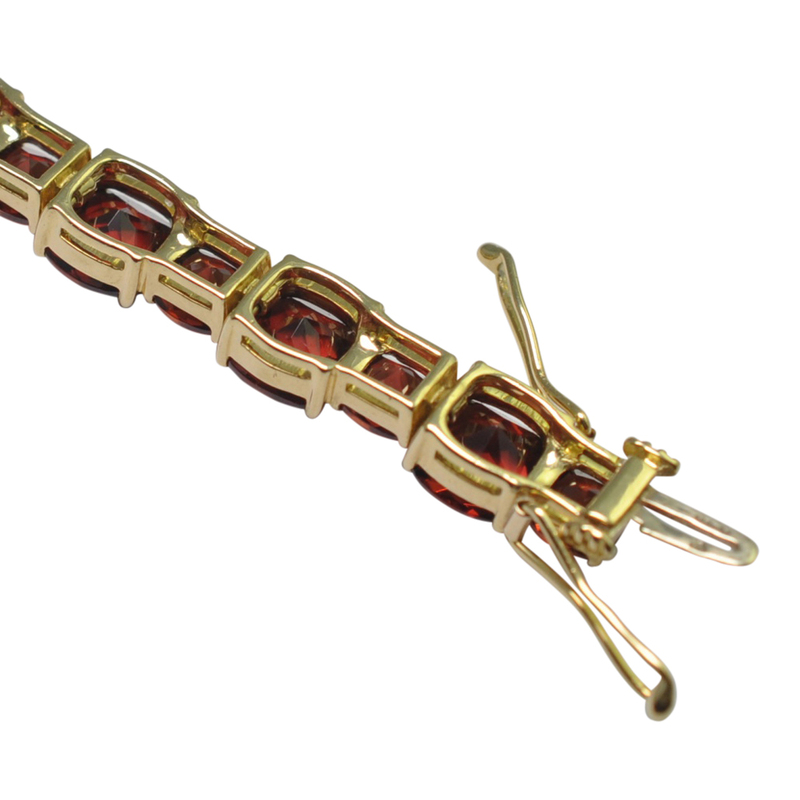 Fully hallmarked London 18ct gold. 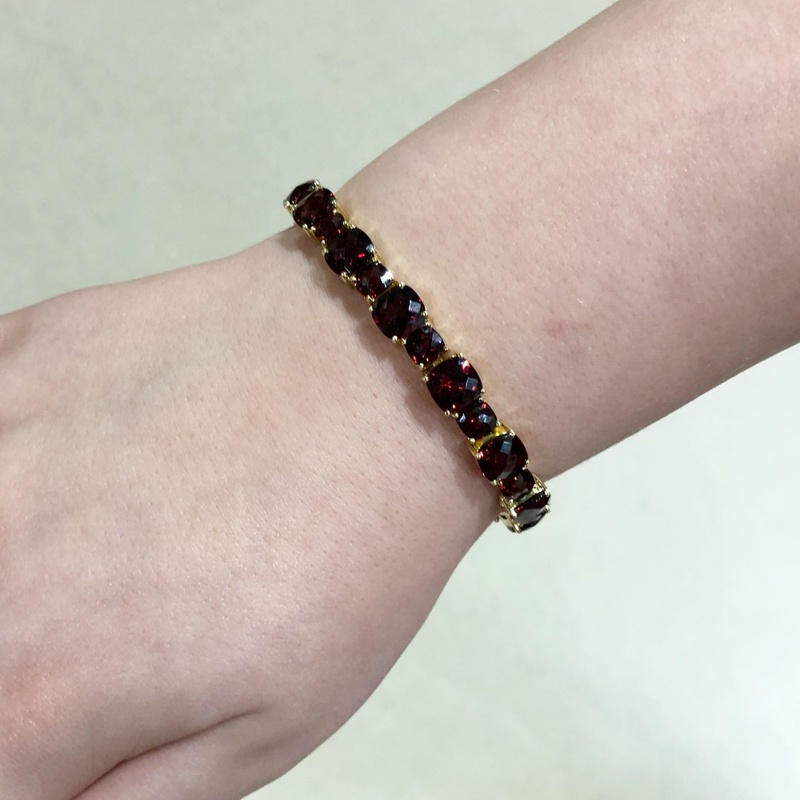 This bracelet is in excellent condition.